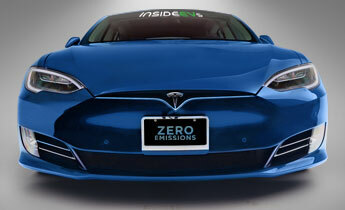 Feel the electricity in the air when you enter to win the exciting new Tesla Dream Giveaway. The grand prize is a brand-new 2018 Tesla Model S P100D with Ludicrous mode. Plus we pay $35,000 for taxes. This Tesla Model S P100D with Ludicrous mode is custom ordered for you. All you have to do is win it. Tesla built the new Model S P100D right here in the United States of America. Based on feedback from great Dream Giveaway donors like you, Tesla build out this grand-prize luxury muscle-car sedan with the looks that thrill. It starts with Deep Blue Metallic paint with White Premium interior, dark headliner, ventilated seats and ebony décor. A panoramic glass roof and a carbon-fiber rear spoiler complete the package. 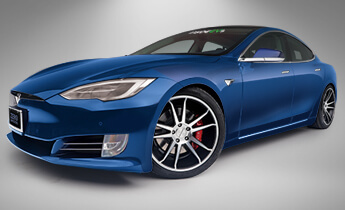 And because we wanted this Tesla to take first place in the looks department, we’ve upgraded it with custom Concavo CW-55 wheels wrapped in high-performance Continental Extreme Contact tires. Zero to 60 in 2.3 seconds. Zero to 100 mph in 6.5 seconds. Quarter mile in 10.8 seconds at 124 mph. The 2018 Tesla P100D with Ludicrous mode thinks it’s an old-school muscle car and that’s just fine with us. In fact, the Tesla P100D is the quickest car that Motor Trend has ever tested … quicker than a Ferrari Le Ferrari and a Porsche 918. How does your new Tesla Model S P100D beat the American muscle car at its own game? 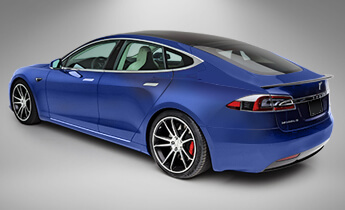 The Tesla is rated at 588 horsepower and 920 lb-ft of torque at the wheels. Instead of an internal combustion engine, it employs dual electric motors with independent traction to both the front and rear in a unique and superior all-wheel drive system. Its all-electronic acceleration is a science fiction dream turned into reality. 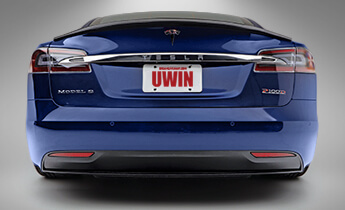 Normally, you’d have to shell out $140K or more for this 21st Century luxury muscle car, but we have one fully loaded and waiting for you if you’re the winner of the exciting new Tesla Dream Giveaway. Enter and win, and you’ll sleep easy knowing your new Tesla Model S P100D with Ludicrous mode is the safest car you can own. It achieved a NHTSA 5-star safety rating in every category and subcategory, the highest safety rating of any car ever tested by the U.S. government. It also set the record for the lowest probability of occupant injury—from front, side, rear and rollover accidents. There is no internal combustion engine in Model S. As a result, the front crumple zone is 2-3 times larger than other cars—providing incredible front-impact protection. Combined with impact-absorbing rails and center pillar reinforcements, the strength and support of the rigid battery pack provides protection from every side. The position and weight of the floor-mounted battery pack provides a very low, solid center of gravity—allowing for the lowest rollover risk of any car on the road. This grand-prize Tesla Model S P100D with Ludicrous mode can get you anywhere you want to go. Manhattan to Boston, Austin to Dallas, Miami to Orlando. These are examples of the 315-mile range of your new Tesla. Need to travel further? Tesla has over 500 supercharger stations from coast to coast. 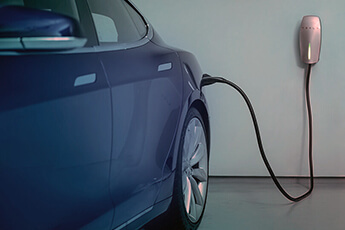 We’ll also include a complimentary Tesla supercharger for your garage or home if you’re the winner. 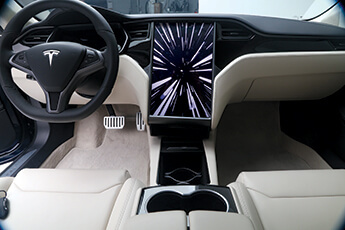 Enter and win the 2019 Tesla Dream Giveaway, and have the time of your life taking your family and friends for a ride like no other in your new Tesla Model S P100D with Ludicrous Mode. Plus we’ll pay $35,000 toward the taxes and fly you to Clearwater, Florida, and hand you the keys to your new Tesla. Enter now.